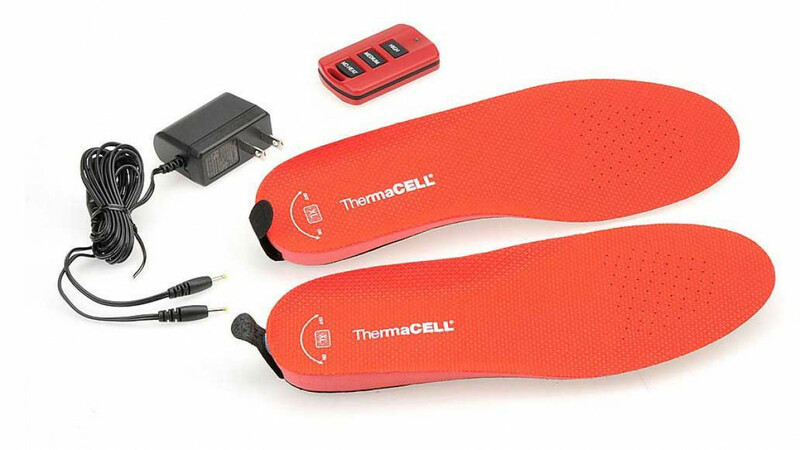 Keep your feet comfortable and warm at all times with these rechargeable heated insoles. High tech wireless thermal technology means there are no wires, bulky batteries or anything else that is not convenient to wear. You can operate them via remote control while you are wearing them. Lithium ion batteries which are rechargeable are imbedded in the insoles. These are rechargeable up to 500 times which is lots of wear! The bulk free design means you just feel like you are wearing everyday insoles. There are three built in temperature settings so you can easily adjust for comfort at any time.